Designed with greater load capacity than our other spring-loaded series: (40 Series, 41 Series, 42 Series), Albion 44 Series protects from damaging shocks or unwanted vibration and movement. 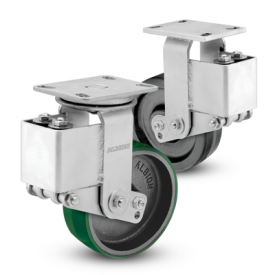 Noise levels are reduced through the dampening effect of these casters. 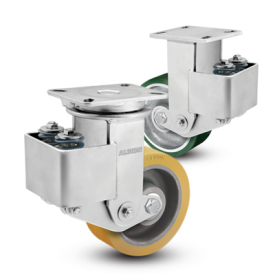 Maximum rated capacity loads will deflect wheel approximately 3/4″. Different load springs permit wide variation in ride ‘softness’. They can be preloaded to obtain various degrees or deflection. Contact factory for more details.